Our team of Painters in Dubai provides best painting services in Dubai and believes in Experience, Quality & Workmanship. We combine all three with low prices and provide you with painting services unmatched by our competitors. With Experience & quality of our painters and decorators, we have best the painting services resources in Dubai in terms of Painters, which is very important to make the painting services run smoothly. Our of Painters follow very Professional Painting Standards for house painting and villa painting. From your first call of scheduling site visit to complete handover, we follow carefully planned steps to achieve satisfaction by providing best price for painting services in dubai. We’ve got the necessary skills and equipment to finish the job quickly and efficiently without causing a mess. Book your villa painting services in just a few clicks. Answer few questions and Book professional wallpaper fixer online now. Starting 2019, PaintGuru.ae only uses low-VOC or zero-VOC paint which is an important step toward turning your interior paint job "GREEN". 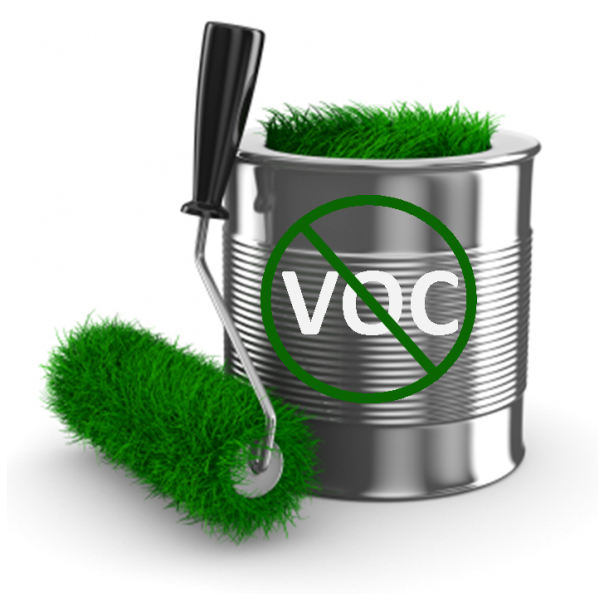 It is important to explain exactly what VOCs are. VOCs are Volatile Organic Compounds. VOCs are unstable, carbon-containing compounds that can easily vaporize. Once they enter the air, they react with other elements and lead to pollution. Breathing in this polluted air can lead to headaches, breathing problems, burning or watery eyes, nausea, asthma, and even cancer. While VOC levels are highest during painting and as it dries, paints with high VOC content can continue to release toxins for several years. This means that even if you are nowhere near your home during the painting process, you will be breathing in the toxins for years to come. Low-VOC or Zero-VOC Paint Protects Health. We want to Make Your Life simpler and better. Control Lighting, Security, Energy and Entertainment with a Touch or Voice. No gimmicks. Its Real Smart Home Automation Dubai. 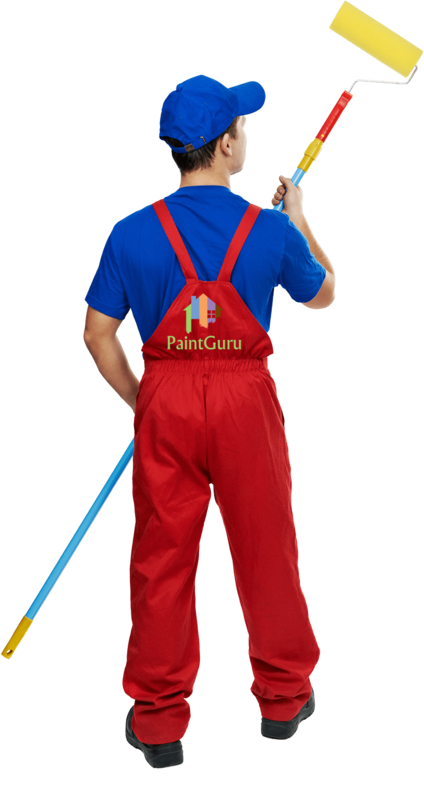 Why PaintGuru.ae for Painting Services in Dubai? We provide Professional painting services in Dubai for 10+ years. We have completed Home painting service and Villa painting service projects with a real focus on customer satisfaction. Our dedicated painters and decorators in dubai are committed to provide painting services with extraordinary painting workmanship at affordable price. PaintGuru painters and decorators in dubai believes in starting and completing home painting and villa painting on time in Dubai. Our Painting Services Dubai understands the challenges customers go through in home painting and villa painting and hence we give best prices and quality. Our professional painters and decorators saves money. We try that every house and villa painting services Dubai should end up costing less than the actual budget. We give the Best Price for our painting services with best painting quality. Hire an Experience PaintGuru painters in Dubai. PaintGuru.ae professional painting contractors delivers quality work for house painting and villa painting Dubai. Today the painting services choices are more complicated in Dubai. But we have the painting experience and painting knowledge to know what will works best for our clients. We understand the busy schedule of our customers and hence our painting services work on weekends and late nights to provide house painting service and Villa painting service with an accurate, online quotes and can start painting within a day (but are also completely flexible to your schedules). We at PaintGuru.ae always connect our customer with A Project Manager and best ERP Software Dubai as a single point of contact for house painting and villa painting Dubai. He is dedicated to ensuring that our customers are satisfied with our painting services, from start to finish! We have noticed that our customers are very confused selecting right color and finishes for house painting, villa painting and businesses in Dubai. So we offer free color consultations, color visualization tools, and your choice of over 3,000 high-quality Benjamin Moore paints! Providing painting services for your home and villa is always a challenge to keeping up with the seasons. It’s about staying in style and trends — and it’s something every homeowner or business owner must do now and again. We at PaintGuru.ae specialize in home painting service and villa painting Dubai interior and exterior painting that will leave you with a great looking, long lasting painting job in dubai and that will protect your home and investment. We have very good experience in commercial painting services Dubai for major real estate projects, therefore you can rest be assured your that PaintGuru Painting Contractors will understand your commercial painting needs in Dubai. As a professional epoxy coating company in Dubai we always recommend Epoxy flooring to be used as a coating over concrete floors which are porus, anti-shock and rough resistant. We undertake all kinds of epoxy coating installation in Dubai. We at PaintGuru.ae painting company offers Villa Painting in Dubai. It includes complete Interior wall painting services in Dubai and also ceiling painting services. We also offer Exterior wall painting services in many communities in Dubai. Wallpaper is new way of coloring and decorating your new home compare to painting. We at PaintGuru.ae in association with DecorBayt.com provides wallpaper installation and removal services to residential and commercial properties. How Our Painters in Dubai works ? Many Home owners says it is hard to find a professional and reliable Home painting and villa painting Dubai. Now you can trust your local PaintGuru.ae painting services professionals to care for your home painting and villa painting. There are many reasons why calling PaintGuru.ae for your painting services Dubai is the best choice for your home and villa. Scheduling with PaintGuru.ae is extremely easy. 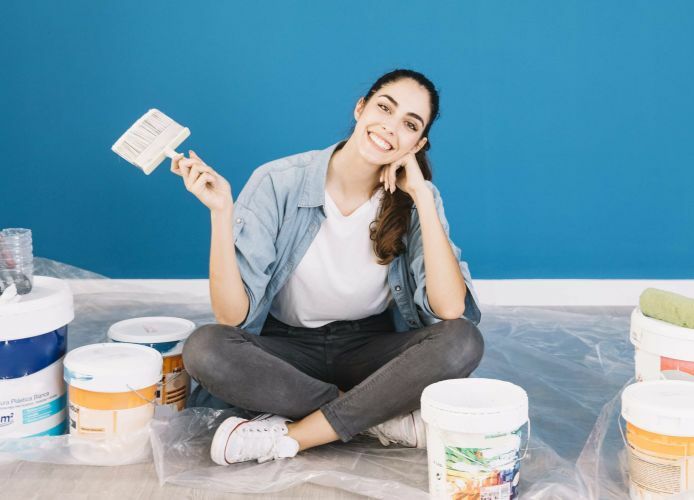 Just one simple phone call or email hires a professional Painters who will provide best painting services and who will care for your home and office like you deserve. If you prefer an estimate, we can provide you a general price estimate over the phone depending on your requirements. PaintGuru.ae Home painting services Dubai Project Manager will arrive at the scheduled appointment time. 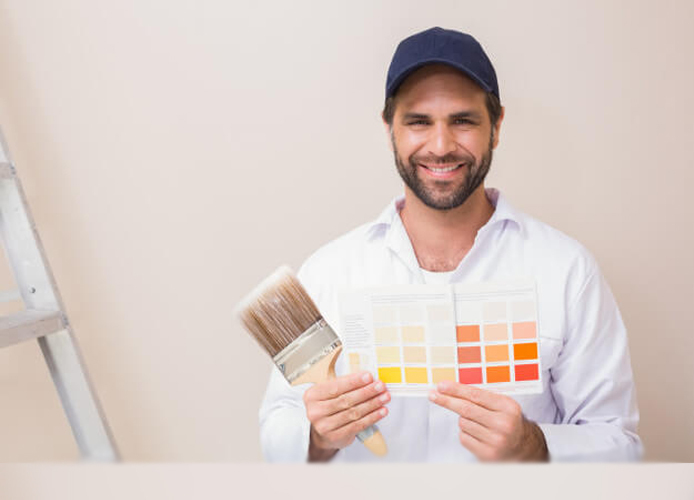 He will review home and villa painting job with you and confirm the time needed and the price to complete the job.If the work to be done requires more than a single painters in dubai, our Project Manager will have an additional team to finish painting services dubai for your home painting. For home painting and villa painting Dubai – we at PaintGuru.ae Painters in Dubai painting services recommend to work with Benjamin Moore Paint. When you hire PaintGuru.ae, for your home painting and villa painting dubai you and your property are protected. With PaintGuru.ae Painting serices dubai you get best quality painting in Dubai. We make sure that your floors and pieces of furniture are well protected when we begin. When we leave you will be surprised to see our painters in dubai painting services professionalism towards our work. Most often, PaintGuru.ae painting services in dubai are billed as 50% advance before work starts. Balance Payment is expected at the completion of home painting and villa painting services unless other arrangements have been made. Our work is backed by our Guarantee: After we leave your home, if you find a problem with our painting services in dubai or the workmanship, simply call us back and we will return to address the painting problem. Paintguru performed as promised. They were on time and terrific with their work! They were highly professional.They made me fall in love with my house again!! Excellent job on painting. Will be using their services again. The manager is very honest and trustworthy which is hard to come by trait sometimes. Thanks for the job Youssuf. I hired Paintguru for my villa painting and handy man job. They were excellent in there work and completed on time. Please feel free to contact us for your Painting Services in Dubai.